The Dream is a luxurious beachfront villa with ocean views, open floor plans, outdoor living areas, and a gorgeous pool. Located right on the beach, this villa includes a butler, a laundress, a housekeeper, and a cook, so you have everything you need right onsite. If you do want to get out for the day, this villa is close to several restaurants, night clubs, and other island attractions. Peaceful, relaxing and totally exclusive! 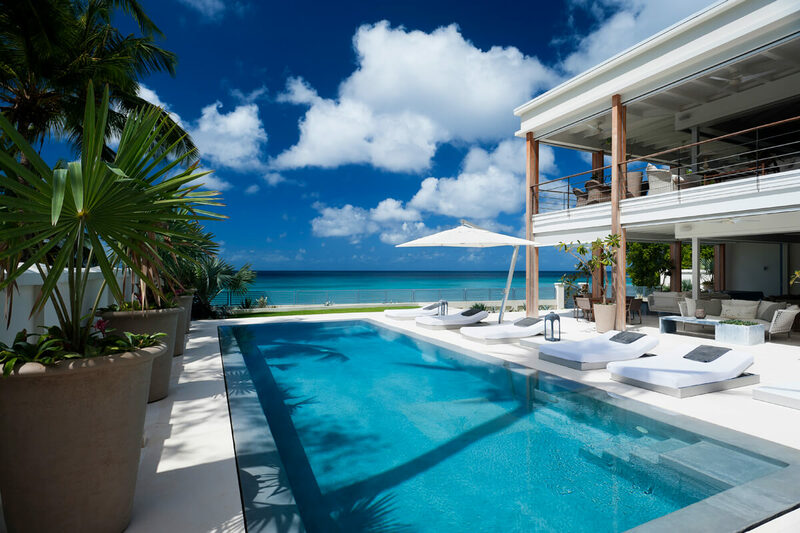 The Dream Villa is located in The Garden, an exclusive neighbourhood on Barbados’ platinum coast. This beachfront villa features ultra modern design, ocean views, and airy, neutral interiors. This villa was designed with open spaces and covered terraces to encourage outdoor living. The spacious lounging deck and dining area are surrounded by landscaped gardens, tropical fauna, and ocean views. The lounging deck borders the infinity-edge pool and is ideal for sunbathing; while the dining area is bordered by a cushioned sectional and offers a BBQ grill, pizza oven, and wet bar for al fresco feasts. Pavilion-style architecture blends the living room with the pool deck to create an open-air lounge. Clean lines, cool neutral hues, and tropical accents outfit The Dream Villa’s interior. The ground floor has a gourmet kitchen with stainless steel appliances, an open-air living space, and a fully air-conditioned media room. A 60” flatscreen TV, a pool table, and a film library outfit the media room for prime movie viewing. Upstairs, there is another open-air living room with a piano, a wraparound balcony, and ceiling fans. Three of the five bedrooms are on the main floor, and each of the five suites has air-conditioning and an ensuite bathroom. The main floor’s luxurious master suite opens to a private balcony with panoramic ocean views. There are three king suites, including the master, and the other two suites have twin beds that can convert into a king. All five bedrooms have docking stations, DVD players, and flatscreen TVs. The Dream Villa is set at the end of a private drive, offering complete tranquility and privacy. The villa is within easy reach of the West Coast’s five-star restaurants, boutiques, bars, nightclubs, and golf courses. The Dream Villa is also staffed with two housekeepers, a butler, a chef, and a laundress. A night watchman is available on request. The villa is just as described ’ a dream” from its beachfront location, which allows you to enjoy the sea and amazing sunsets, to its interior which is very contemporary but is elegantly casual. Ultimately it’s the staff that set this property apart from others . They were very welcoming, attentive but discreet. Nothing was ever too much of an issue. The house is spotless, well run with kind, friendly client focused staff. The owner also has left photographs , books etc so it is a home from home but better as Jade and the team look after your needs, from shopping to laundry, excursions to mosquito bites- nothing is overlooked. The owner has also looked after her guests by providing beautiful towels, linens and amenities. Couldn’t have asked for a better location for a special birthday! 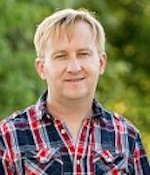 Andrew, is just great to work with he listens to your needs and then provides you with a list of choices. We then had further discussions before finally deciding where to stay. Overall it was a great experience working with WhereToStay.com . Andrew is very efficient, friendly and knowledgable regarding all the properties we enquired about. We wanted this trip to be special as I was having a big birthday and the trip, exceeded our expectations. We hope to be able to book another trip in the future using WhereToStay.com but that is 100% due to Andrew and the trust and rapport we have now built up. Well done Andrew! The Dream was an exceptional villa. We have rented five-star villas through the years, and usually the houses are emptied of all the extras (books, photographs, DVDs or anything that makes look like a home). However, at the Dream, we felt like we were guests in someone’s house. There were loads of seating areas, and the WiFi worked. The swimming pool was great. The staff was exceptional, and nothing seemed too much trouble for them. They even changed the towels twice a day! There was an evening turn down service, and they even washed and ironed my husband and son’s shirts. Jade was fantastic. He booked restaurants, Spa treatments, or a catamaran. He could even shop for food, and show guests how to use TVs or the air conditioning. The villa was very secure. We used a security service, but that was not necessary at all. Mark, the chef, was a great pastry chef. His tarte Tatin and his white chocolate souffle with Grand Marnier will be missed. All in all, we thoroughly enjoyed our holiday. The staff at WhereToStay.com was great. Everything Andrew promised happened - the car, the fast track, picking us up at the airport, the vouchers, and the security. Well done, Andrew! Thank you for making it all so easy.